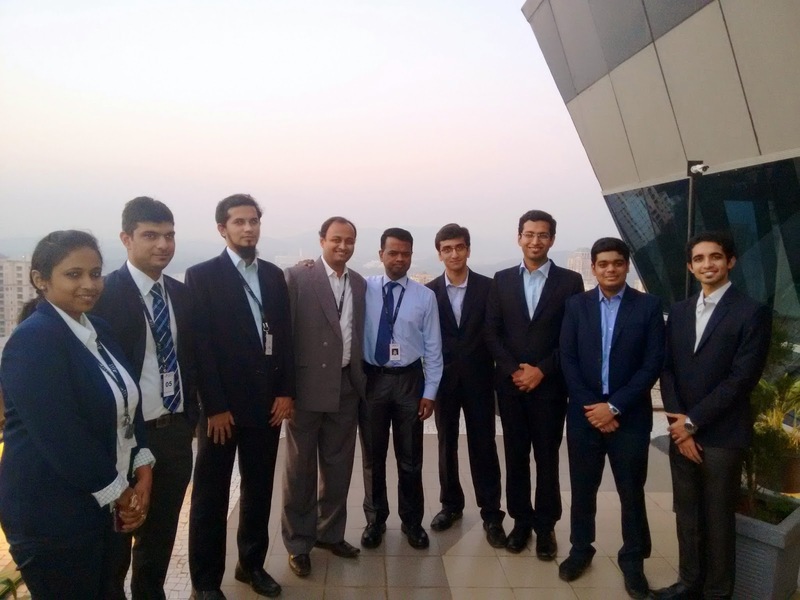 SIMSREE successfully hosted a first of its kind insurance broking competition named MINDZ’14 in association with Jardine Lloyd Thompson India Pvt. Ltd. (JLTI) in October- November 2014. The event was organised and coordinated by the Corporate Relations Committee, SIMSREE. JLT India Pvt. Ltd. is a wholly owned subsidiary of Jardine Lloyd Thompson Group. Set up in May 2007 as a Global Shared Services Centre for the Group, JLT India has grown significantly to become the second largest office of the Group, supporting both Employee Benefits and Risk & Insurance operations of the Group. It is the first company in the Group (and one of the first companies in India) to achieve the international standard for business continuity management, ISO 22301. JLT India provides a multitude of services under 7 main verticals viz. Operations, Finance, Group Business Process Management, Information Technology, Knowledge Services, Legal Risk & Compliance and Human Resources. Mindz 2014 is an inter college insurance broking event, that tests the statistical, strategic and analytical skills of the participants along with their ability to work in teams. Format: The game comprised 3 rounds which involved an online quiz, an online insurance broking simulation game and a case study presentation round. Timeline: The 1st and 2nd rounds were held between 12th October and 18th October and the last round was held on 26th November. Participation: Entry into the event was by invitation only. A total of 8 prestigious b-schools namely SIMSREE, ISB Hyderabad, NMIMS, NITIE, SJMSOM, SIBM Pune, SIMSR, SCMHRD had been invited to this competition. This unique format of the competition enabled students to experience an ideal corporate interface like never before. Also, it was a first hand learning experience as they teamed up with people already working in the industry. The Final round of Mindz 2014 - the case study presentation was held on 26th November, 2014, at JLTI, Mumbai. The top 5 teams qualifying from the second round (Periloscope), both from B-schools and JLTI were given three primary topics to present on. Their presentation and ideas were judged by a panel comprising the JLTI management and their esteemed global counterparts. Every presentation was followed by a comprehensive Q&A round. The contestants were judged on the quality of insights and research on the topic chosen, team work, presentation quality and responses to the questions asked by the panel. At the end of all presentations, the judges adjudged team INVICTUS from SIMSREE and team MAVERICKS from JLTI as winners of JLTI Mindz 2014. They combined to form team BIZ WIZ for the last round. The team from SIMSREE were praised for their leadership qualities and the poise shown by them throughout the presentation and the subsequent Q&A round. We would like to thank JLTI and all the contestants for making this competition a success. We hope to be back soon with a bigger and better Mindz 2015. Keep watching this space! Wow!! That’s great! Thanks a lot for sharing the information dear! Actually I was also thinking to organize these kinds of corporate events. Such events are useful for the growth of any company. I am thinking to hire corporate event planning services; they would definitely have the ideas for corporate events.